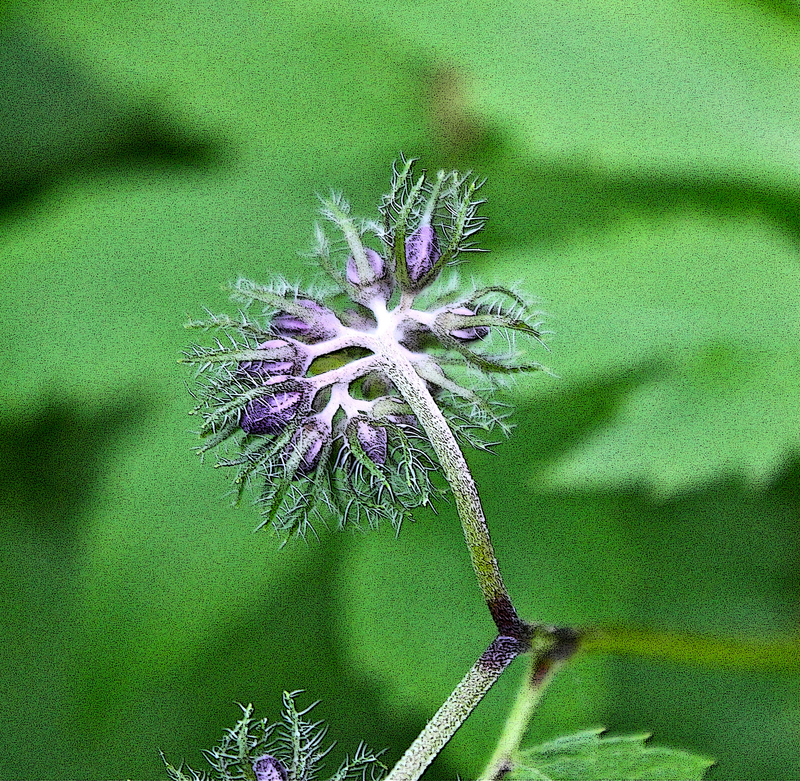 You will find Virginia Waterleaf blooming in rich woods during late spring and the early summer months. Right now in early May, the plants are up and the flower buds have formed. Notice the mottled or “water-stained” appearance of the 3 to 7-lobed leaves. The leaves and stem are very succulent (or “watery”), not unlike the stems of jewel weed. The light violet to dark purple flowers hang like tiny bells above the leaves. The long stamens protrude conspicuously beyond the 5-lobed corolla. Virginia Waterleaf is an edible perennial; it is also known as Indian Cabbage. The plants pictured below were found growing in two places in the Mountain Lake Conservancy: in one case near a wet seep, in another close to the top of the mountain under much dryer conditions. Click on any image below to open a larger viewer. Both purple and violet flowers are featured in this set of photos taken in June. Illustration above by: USDA-NRCS PLANTS Database / USDA NRCS. Wetland flora: Field office illustrated guide to plant species. USDA Natural Resources Conservation Service.